So take a look at our pre-owned inventory below, before you hit the streets of Merced today. CARFAX 1-Owner, Mercedes-Benz Certified, Superb Condition, GREAT MILES 25,768! Navigation, Heated Seats, Sunroof, Dual Zone A/C READ MORE! KEY FEATURES INCLUDE Turbocharged, iPod/MP3 Input, Onboard Communications System, Dual Zone A/C. Steering Wheel Controls, Child Safety Locks, Heated Mirrors, Electronic Stability Control, Bucket Seats. OPTION PACKAGES MULTI-MEDIA WITH SMARTPHONE INTEGRATION COMAND System w/Hard Drive Navigation, DVD Player, DVD player, 8.0 high resolution screen, voice control, 10GB music register and SiriusXM Traffic and Weather, Single CD/DVD Player, Apple CarPlay, Rearview Camera, Smartphone Integration (14U), Navigation Map Updates Included For 3 Years, PREMIUM 1 PACKAGE KEYLESS-GO, Garage Door Opener, Compass, Heated Front Seats, SiriusXM Satellite Radio, Auto Dimming Mirrors, harman/kardon Sound System, SPORT PACKAGE: perforated front disc brakes w/MB logo, AMG Body Styling, Sport Appearance Package, Diamond Grille w/Silver Pins, PANORAMA SUNROOF, BI-XENON HEADLAMPS AND LED TAILLIGHTS, BLIND SPOT ASSIST, BLACK ASH WOOD TRIM, NIGHT PACKAGE: black window trim, black exterior mirrors and black lamella inlay, Wheels: 18 AMG Multi-Spoke Black Finish Alloy, all-season tires, Tires: P235/40R18. Mercedes-Benz CLA 250 with Cirrus White exterior and Ash interior features a 4 Cylinder Engine with 208 HP at 5500 RPM*. Serviced here, Non-Smoker vehicle, Originally bought here. VEHICLE REVIEWS Great Gas Mileage: 38 MPG Hwy. SHOP WITH CONFIDENCE CARFAX 1-Owner Balance of New Car Warranty plus 1 year/unlimited miles extended Limited Warranty, 24-Hour Roadside Assistance, Carfax Vehicle History Report, NO Deductible, Rigorous Inspection by Factory Certified Technicians Pricing analysis performed on 4/19/2019. Horsepower calculations based on trim engine configuration. Fuel economy calculations based on original manufacturer data for trim engine configuration. Please confirm the accuracy of the included equipment by calling us prior to purchase.CARFAX 1-Owner, Mercedes-Benz Certified, Superb Condition, GREAT MILES 25,768! Navigation, Heated Seats, Sunroof, Dual Zone A/C READ MORE! CARFAX 1-Owner, Excellent Condition, Mercedes-Benz Certified. JUST REPRICED FROM $34,991, EPA 37 MPG Hwy/24 MPG City! NAV, Heated Seats CLICK NOW! KEY FEATURES INCLUDE Back-Up Camera, Turbocharged, iPod/MP3 Input, Onboard Communications System, Remote Engine Start. MP3 Player, Child Safety Locks, Steering Wheel Controls, Electronic Stability Control, Heated Mirrors. OPTION PACKAGES PREMIUM PACKAGE KEYLESS-GO, Heated Front Seats, Blind Spot Assist, SiriusXM Satellite Radio, HANDS-FREE ACCESS, harman/kardon SOUND SYSTEM, GARMIN MAP PILOT, WHEELS: 18 5-SPOKE MULTI-SPOKE Tires: P225/40R18, ILLUMINATED STAR, CONVENIENCE PACKAGE Garage Door Opener, Compass, Auto Dimming Mirrors, SMARTPHONE INTEGRATION Android Auto, Apple CarPlay, Smartphone Integration (14U), REAR SPOILER. Mercedes-Benz CLA 250 with Polar Silver Metallic exterior and Black interior features a 4 Cylinder Engine with 208 HP at 5500 RPM*. Serviced here, Non-Smoker vehicle, Originally bought here. EXPERTS RAVE KBB.com's review says It offers solid performance, good handling, and a cool style that closely resembles the much more expensive CLS.. Great Gas Mileage: 37 MPG Hwy. A GREAT TIME TO BUY Was $34,991. This CLA 250 is priced $1,100 below Kelley Blue Book. BUY WITH CONFIDENCE CARFAX 1-Owner Balance of New Car Warranty plus 1 year/unlimited miles extended Limited Warranty, 24-Hour Roadside Assistance, Carfax Vehicle History Report, NO Deductible, Rigorous Inspection by Factory Certified Technicians WHO WE ARE Mercedes-Benz of Modesto in Modesto, CA treats the needs of each individual customer with paramount concern. We know that you have high expectations Pricing analysis performed on 4/15/2019. Horsepower calculations based on trim engine configuration. Fuel economy calculations based on original manufacturer data for trim engine configuration. Please confirm the accuracy of the included equipment by calling us prior to purchase.CARFAX 1-Owner, Excellent Condition, Mercedes-Benz Certified. JUST REPRICED FROM $34,991, EPA 37 MPG Hwy/24 MPG City! NAV, Heated Seats CLICK NOW! PREMIUM PACKAGE KEYLESS-GO, Heated Front Seats, Blind Spot Assist, SiriusXM Satellite Radio, HANDS-FREE ACCESS, harman/kardon SOUND SYSTEM, GARMIN MAP PILOT, WHEELS: 18 5-SPOKE MULTI-SPOKE Tires: P225/40R18, ILLUMINATED STAR, CONVENIENCE PACKAGE Garage Door Opener, Compass, Auto Dimming Mirrors, SMARTPHONE INTEGRATION Android Auto, Apple CarPlay, Smartphone Integration (14U), REAR SPOILER. Mercedes-Benz CLA 250 with Polar Silver Metallic exterior and Black interior features a 4 Cylinder Engine with 208 HP at 5500 RPM*. Serviced here, Non-Smoker vehicle, Originally bought here. Was $34,991. This CLA 250 is priced $1,100 below Kelley Blue Book. JUST REPRICED FROM $34,991. Mercedes-Benz Certified, Excellent Condition, CARFAX 1-Owner, GREAT MILES 7,982! Heated Seats, Turbo SEE MORE! KEY FEATURES INCLUDE Back-Up Camera, Turbocharged, iPod/MP3 Input, CD Player, Onboard Communications System MP3 Player, Steering Wheel Controls, Child Safety Locks, Heated Mirrors, Electronic Stability Control. OPTION PACKAGES PREMIUM PACKAGE KEYLESS-GO, Heated Front Seats, Blind Spot Assist, SiriusXM Satellite Radio, HANDS-FREE ACCESS, LED HEADLAMPS, SMARTPHONE INTEGRATION Android Auto, Apple CarPlay, Smartphone Integration (14U), MATTE BLACK ASH WOOD TRIM, REAR SPOILER, WHEELS: 17 5-SPOKE ALLOY (STD). Mercedes-Benz CLA 250 with Polar Silver Metallic exterior and Black interior features a 4 Cylinder Engine with 208 HP at 5500 RPM*. Serviced here, Non-Smoker vehicle, Originally bought here. VEHICLE REVIEWS KBB.com explains It offers solid performance, good handling, and a cool style that closely resembles the much more expensive CLS.. Great Gas Mileage: 37 MPG Hwy. A GREAT TIME TO BUY Was $34,991. SHOP WITH CONFIDENCE Balance of New Car Warranty plus 1 year/unlimited miles extended Limited Warranty, 24-Hour Roadside Assistance, Carfax Vehicle History Report, NO Deductible, Rigorous Inspection by Factory Certified Technicians BUY FROM AN AWARD WINNING DEALER Mercedes-Benz of Modesto in Modesto, CA treats the needs of each individual customer with paramount concern. We know that you have high expectations Pricing analysis performed on 4/19/2019. Horsepower calculations based on trim engine configuration. Fuel economy calculations based on original manufacturer data for trim engine configuration. Please confirm the accuracy of the included equipment by calling us prior to purchase.JUST REPRICED FROM $34,991. Mercedes-Benz Certified, Excellent Condition, CARFAX 1-Owner, GREAT MILES 7,982! Heated Seats, Turbo SEE MORE! REDUCED FROM $36,491!, PRICED TO MOVE $900 below Kelley Blue Book! Mercedes-Benz Certified, CARFAX 1-Owner, Excellent Condition. AND MORE! KEY FEATURES INCLUDE Full-Time 4MATIC All-Wheel Drive, Back-Up Camera, Turbocharged, iPod/MP3 Input, CD Player MP3 Player, Flex Fuel, Keyless Entry, Steering Wheel Controls, Child Safety Locks. OPTION PACKAGES SMARTPHONE INTEGRATION Android Auto, Apple CarPlay, Smartphone Integration (14U), MATTE BLACK ASH WOOD TRIM, REAR SPOILER, WHEELS: 17 5-SPOKE ALLOY (STD). Mercedes-Benz CLA 250 with Jupiter Red exterior and Sahara Beige interior features a 4 Cylinder Engine with 208 HP at 5500 RPM*. Serviced here, Non-Smoker vehicle, Originally bought here. EXPERTS ARE SAYING It offers solid performance, good handling, and a cool style that closely resembles the much more expensive CLS. -KBB.com. Great Gas Mileage: 32 MPG Hwy. AFFORDABLE TO OWN Was $36,491. This CLA 250 is priced $900 below Kelley Blue Book. PURCHASE WITH CONFIDENCE Balance of New Car Warranty plus 1 year/unlimited miles extended Limited Warranty, 24-Hour Roadside Assistance, Carfax Vehicle History Report, NO Deductible, Rigorous Inspection by Factory Certified Technicians VISIT US TODAY Mercedes-Benz of Modesto in Modesto, CA treats the needs of each individual customer with paramount concern. We know that you have high expectations, and as an automotive dealer we enjoy the challenge of meeting and exceeding those standards each and every time. Allow us to demonstrate our commitment to excellence! Our experienced sales staff is eager to share its knowledge and enthusiasm with you. We encourage you to browse our online inventory Pricing analysis performed on 4/19/2019. Horsepower calculations based on trim engine configuration. Fuel economy calculations based on original manufacturer data for trim engine configuration. Please confirm the accuracy of the included equipment by calling us prior to purchase.REDUCED FROM $36,491!, PRICED TO MOVE $900 below Kelley Blue Book! Mercedes-Benz Certified, CARFAX 1-Owner, Excellent Condition. AND MORE! Full-Time 4MATIC All-Wheel Drive, Back-Up Camera, Turbocharged, iPod/MP3 Input, CD Player MP3 Player, Flex Fuel, Keyless Entry, Steering Wheel Controls, Child Safety Locks. SMARTPHONE INTEGRATION Android Auto, Apple CarPlay, Smartphone Integration (14U), MATTE BLACK ASH WOOD TRIM, REAR SPOILER, WHEELS: 17 5-SPOKE ALLOY (STD). Mercedes-Benz CLA 250 with Jupiter Red exterior and Sahara Beige interior features a 4 Cylinder Engine with 208 HP at 5500 RPM*. Serviced here, Non-Smoker vehicle, Originally bought here. Was $36,491. This CLA 250 is priced $900 below Kelley Blue Book. REDUCED FROM $34,991!, $800 below Kelley Blue Book! Excellent Condition, CARFAX 1-Owner, Mercedes-Benz Certified. Heated Seats, Sunroof SEE MORE! KEY FEATURES INCLUDE Back-Up Camera, Turbocharged, iPod/MP3 Input, Onboard Communications System, Remote Engine Start. MP3 Player, Steering Wheel Controls, Child Safety Locks, Electronic Stability Control, Heated Mirrors. OPTION PACKAGES PREMIUM PACKAGE KEYLESS-GO, Heated Front Seats, Blind Spot Assist, SiriusXM Satellite Radio, HANDS-FREE ACCESS, PANORAMA SUNROOF, LED HEADLAMPS, harman/kardon SOUND SYSTEM, WHEELS: 18 5-SPOKE ALLOY Tires: P225/40R18, ILLUMINATED STAR, CONVENIENCE PACKAGE Garage Door Opener, Compass, Auto Dimming Mirrors, SMARTPHONE INTEGRATION Android Auto, Apple CarPlay, Smartphone Integration (14U), BURL WALNUT WOOD TRIM, REAR SPOILER. Mercedes-Benz CLA 250 with Lunar Blue Metallic exterior and Crystal Grey interior features a 4 Cylinder Engine with 208 HP at 5500 RPM*. Serviced here, Non-Smoker vehicle, Originally bought here. VEHICLE REVIEWS KBB.com's review says It offers solid performance, good handling, and a cool style that closely resembles the much more expensive CLS.. Great Gas Mileage: 37 MPG Hwy. A GREAT TIME TO BUY Was $34,991. This CLA 250 is priced $800 below Kelley Blue Book. BUY WITH CONFIDENCE Balance of New Car Warranty plus 1 year/unlimited miles extended Limited Warranty, 24-Hour Roadside Assistance, Carfax Vehicle History Report, NO Deductible, Rigorous Inspection by Factory Certified Technicians WHY BUY FROM US Mercedes-Benz of Modesto in Modesto, CA treats the needs of each individual customer with paramount concern. We know that you have high expectations Pricing analysis performed on 4/19/2019. Horsepower calculations based on trim engine configuration. Fuel economy calculations based on original manufacturer data for trim engine configuration. Please confirm the accuracy of the included equipment by calling us prior to purchase.REDUCED FROM $34,991!, $800 below Kelley Blue Book! Excellent Condition, CARFAX 1-Owner, Mercedes-Benz Certified. Heated Seats, Sunroof SEE MORE! CARFAX 1-Owner, Mercedes-Benz Certified, Excellent Condition, LOW MILES - 10,274! WAS $34,991. Sunroof, Heated Seats, Turbo Charged CLICK NOW! KEY FEATURES INCLUDE Back-Up Camera, Turbocharged, iPod/MP3 Input, Onboard Communications System, Remote Engine Start MP3 Player, Steering Wheel Controls, Child Safety Locks, Heated Mirrors, Electronic Stability Control. OPTION PACKAGES PREMIUM PACKAGE KEYLESS-GO, Heated Front Seats, Blind Spot Assist, SiriusXM Satellite Radio, HANDS-FREE ACCESS, PANORAMA SUNROOF, harman/kardon SOUND SYSTEM, WHEELS: 18 5-SPOKE MULTI-SPOKE Tires: P225/40R18, CONVENIENCE PACKAGE Garage Door Opener, Compass, Auto Dimming Mirrors, SMARTPHONE INTEGRATION Android Auto, Apple CarPlay, Smartphone Integration (14U), MATTE BLACK ASH WOOD TRIM, REAR SPOILER. Mercedes-Benz CLA 250 with Jupiter Red exterior and Black interior features a 4 Cylinder Engine with 208 HP at 5500 RPM*. Serviced here, Non-Smoker vehicle, Originally bought here. VEHICLE REVIEWS KBB.com explains It offers solid performance, good handling, and a cool style that closely resembles the much more expensive CLS.. Great Gas Mileage: 37 MPG Hwy. A GREAT TIME TO BUY Reduced from $34,991. PURCHASE WITH CONFIDENCE CARFAX 1-Owner Balance of New Car Warranty plus 1 year/unlimited miles extended Limited Warranty, 24-Hour Roadside Assistance, Carfax Vehicle History Report, NO Deductible, Rigorous Inspection by Factory Certified Technicians WHO WE ARE Mercedes-Benz of Modesto in Modesto, CA treats the needs of each individual customer with paramount concern. We know that you have high expectations Pricing analysis performed on 4/19/2019. Horsepower calculations based on trim engine configuration. Fuel economy calculations based on original manufacturer data for trim engine configuration. Please confirm the accuracy of the included equipment by calling us prior to purchase.CARFAX 1-Owner, Mercedes-Benz Certified, Excellent Condition, LOW MILES - 10,274! WAS $34,991. Sunroof, Heated Seats, Turbo Charged CLICK NOW! Back-Up Camera, Turbocharged, iPod/MP3 Input, Onboard Communications System, Remote Engine Start MP3 Player, Steering Wheel Controls, Child Safety Locks, Heated Mirrors, Electronic Stability Control. PREMIUM PACKAGE KEYLESS-GO, Heated Front Seats, Blind Spot Assist, SiriusXM Satellite Radio, HANDS-FREE ACCESS, PANORAMA SUNROOF, harman/kardon SOUND SYSTEM, WHEELS: 18 5-SPOKE MULTI-SPOKE Tires: P225/40R18, CONVENIENCE PACKAGE Garage Door Opener, Compass, Auto Dimming Mirrors, SMARTPHONE INTEGRATION Android Auto, Apple CarPlay, Smartphone Integration (14U), MATTE BLACK ASH WOOD TRIM, REAR SPOILER. Mercedes-Benz CLA 250 with Jupiter Red exterior and Black interior features a 4 Cylinder Engine with 208 HP at 5500 RPM*. Serviced here, Non-Smoker vehicle, Originally bought here. 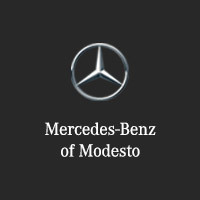 Why Buy from Mercedes-Benz of Modesto? There’s a reason drivers in Modesto love our dealership. We stock well-regarded vehicles, and our friendly and knowledgeable staff knows the ins and outs of them. They will assist you, for example, in deciding whether a used or Certified Pre-Owned vehicle is best for you. Just as our dealership is invested in the satisfaction of Merced customers, we’re also invested in the community. So apply for financing today before you hit the roads of Modesto in your affordable CLA.